The Rich Stadium video was very nicely done, but the visuals are odd. Why is the band performing in the middle of the day, and why didn’t anyone think to give the band a backdrop? The sea of empty seats is jarring. I saw the True Confessions Tour when it hit Detroit, within a few weeks of this show. My very first Dylan show. Dylan had a nice groove with Petty’s band but I’m still trying to decide what to make of it. The passion is toned down from what he had even during the Gospel shows five years before, as if he’s second-guessing himself the entire time. From Live Aid onward, he seemed less than comfortable up there. Maybe I’m overthinking it. Every effort to the zillionth has been worth it …. 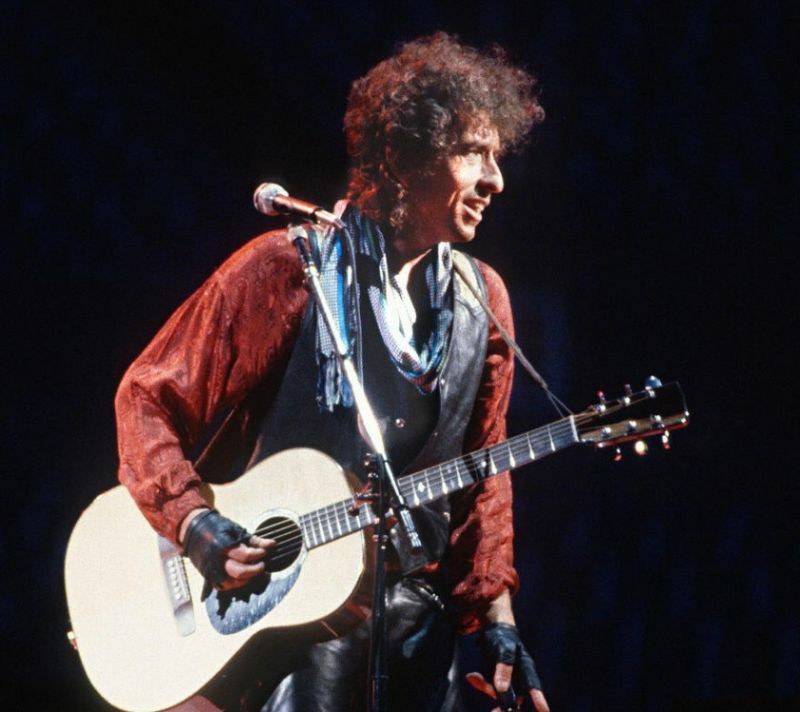 so nice to watch and hear Dylan playing his little games of twisting the words into melody, all so typically personal to him, yet sharing with us. Good quality-video, too. THANKS HEAPS !!!! Thank you so much for this, Egil! Do you by any chance have the video for “One Too Many Mornings?” That is one of my all time favorite performances. Dylan draws out the last word of every line in a wonderful little mini-melody. Thanks, Egil! I’ve got it on *VHS* somewhere… but hopefully somebody here can give us a link! Thanks for all the great work on this site — this is a wonderful resource. We drove to this from Toronto. The driver insisted on first going downtown to get a Grateful Dead cd for the drive, which made us so late getting out of TO we missed most of the Dead’s show…which was 3 hrs long! we had nosebleed section seats, but once the bulk of the dead-heads had cleared out from in front of the stage, there was room down there. Security had a hard time catching everyone squirting onto the ‘floor’ from the bleachers.